California is a strict liability state which means that dog owners are liable for any injuries caused by their canine pets. Under California law, a dog bite victim can pursue monetary compensation from a dog owner for damages such as medical expenses, lost wages, pain and suffering. The dog owner is liable for damages suffered by the person whether on public property, or lawfully in a private place including the property of the dog owner, regardless of the former viciousness of the animal. In California, the dog does not get what is commonly known as “the one free bite”, as in other states. The most dangerous canine breeds are Pit Bulls, Rottweilers, Presa Canarios, Boxers, and various mixes. Many insurance carriers already exclude many of these breeds in your homeowners policy so that is something you need to look out for or else the party injured by your dog will be able to sue you personally and reach your assets. If you or your child becomes a victim of a dog bite in California, you may be entitled to compensation for your losses. The dedicated and hardworking attorneys at The Law Offices of Michael A. Fiumara will be there to guide you through the legal maze and get you the full compensation that you or a loved one deserves. Please feel free to contact our team of experienced and skilled personal injury attorneys to obtain full and fair compensation for you or a loved one. The consultation is free and there is no obligation. You may call us at our Santa Rosa office 707-571-8600 or at our San Rafael office at and 415-492-4507. Dog bites can be very serious especially when injuries occur to children. -Loss of finger or other extremities. -Injuries resulting in permanent scarring to the face and arms, legs and head. -Permanent damage to any of the extremities of the hands or feet. -Injury requiring surgery, skin grafts or other surgical procedures. It is estimated that in the United States alone, more than four million people are bitten by dogs each year according to the Center for Disease Control and Prevention. These injuries can be extremely painful and traumatizing. 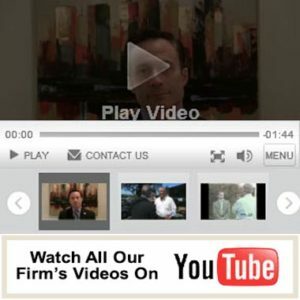 If you are coping with medical bills as well as the emotional trauma, loss, pain and suffering that accompanies this type of injury, we highly encourage you to call an experienced and highly skilled team of personal injury attorneys to balance the scales of justice in your favor against the almighty insurance carriers to obtain the FULL compensation that you deserve for your losses. Our team of attorneys fights for you! Dog bite cases may be complicated and involved especially if they involve a neighbor, friend or relative. Therefore, knowing what to do can be confusing and emotional at the same time. We can quickly intervene on your behalf to get a resolution. For example, if a dog bite injury occurs in the home of a neighbor, a friend or family member, you may be too uncomfortable to pursue a dog bite injury claim. However, allow our professional team of injury attorneys to use good judgment, tact, and discretion to pursue compensation on your behalf without disrupting a personal or familial relationship. We know how to negotiate with the dog owner’s insurance carrier that keeps you from being involved in a delicate or awkward situation between you, your friends, family, neighbor or other relatives. Oftentimes neighbors, relatives, and other family members may keep or cage or harbor exotic pets such as snakes, reptiles, birds, and even wild animals in their home or on their property. If you or someone that you love is injured in an animal attack or has been bitten by a dog or cat it is imperative for you to speak to a Santa Rosa personal injury lawyer who will protect your rights! Please contact The Law Offices of Michael A. Fiumara Firm for a free and confidential consultation to get information to pursue your case. Animal bites from exotic pets such as snakes, birds, reptiles, and even wild animals can cause very serious injuries including, but not limited to, nerve damage, significant scarring, rabies, and a whole host of other poisoning and infectious diseases from an animal’s venom or saliva. Some serious injuries can result such as paralysis, crippling pain or even death which may be grounds for a wrongful death lawsuit. Unfortunately, animal attacks often have a severe and long term impact on children who are injured, maimed or bitten. These symptoms can range from physical problems related to orthopedic injuries to traumatic and psychological manifestations due to the trauma and severe pain of being injured by an animal. A vicious animal attack or bite can leave the victim with very serious physical and emotional scars, and the medical treatment and procedures are often painful and extremely expense. In many cases, this type of health care is just simply unaffordable. For this reason alone, it may be necessary to pursue a negligence liability cause of action for the accident for this type of animal attack injury. We seek full compensation for your injuries. This includes all costs relating to your hospital stay, including bills and/or medical expenses that relate to your time-off from work because of the injuries sustained in the animal attack or bite. Please refrain from signing anything, especially from an insurance agent, until you have had the opportunity to schedule an appointment with one of our experienced and skilled team member attorneys at The Law Offices of Michael A. Fiumara. By following these tips and simple steps, it could significantly increase your chances of receiving a fair and full compensation against the responsible party for your attack and/or animal bite. -Punitive damages, but that is rare and would depend on the circumstances. We look forward to working with you so that we may dedicate our time, and resources to help you obtain the full compensation that you deserve so that you may recover as quickly as possible from the animal attack or bite and enjoy peace of mind. Please feel free to contact The Law Offices of Michael A. Fiumara to discuss all the details of your case with a member from our team of experienced attorneys.